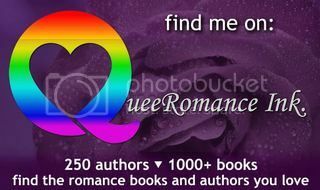 A big welcome to Faith Hunter as part of her blog tour with Let’s Talk Promotions for Circle of the Moon. He kissed me. Hard and hot. That very improper kiss he had promised me long months ago. His scruffy, scarred face scrubbed against mine. I kissed him back. Dragged him closer. He shoved his body higher, over mine, his jean-clad legs tangling in my long skirt. The scent of his sweat was manly and healthy . . . not like John’s scent at all. My body simultaneously loosened, boneless, and clenched. “Ohhh,” I murmured into his mouth as his tongue claimed mine. Faith is one of the founders and a participant at the now defunct and archived http://www.MagicalWords.net, an online writing forum geared to helping writers. And she is a voracious reader. For more, including a list of her books, see www.faithhunter.net , www.gwenhunter.com, and www.magicalwords.net. To keep up with her daily, join her fan pages at Facebook. Five winners will receive the first two Soulwood novels! Contest runs Feb. 11th until Mar. 7th. There is also a $50 Amazon gift card. This entry was posted in blog tour, let's talk! promotions. Bookmark the permalink. I love strong heroines and those feature prominently in all of these series, so of course I adore Nell. Good luck with the release and thanks for the giveaway opportunity! I haven’t read any of the new series but the blurb was really intriguing as was the excerpt and I’m a great fan of shifters and magic. I haven’t read any of the books yet. I liked the excerpt, sounds good. I love Nell for her strength and fire and protective streak and also her willingness to go outside her comfort zone to grow and change. New to the series. Looks good though.